Jeanette Farley (Nov. 5, 1920 – June 13, 2016) always had a welcoming smile for everyone! That message was the “take-away” theme from her memorial service today. No one that knew her did not know Jeanette’s smile lit up the room. I first met Mrs. Farley when I was an undergraduate student using the Kentucky Library. Her desk was in the middle of the research room. She was so approachable by a student new to the use of Library Special Collections. My respect for her grew when I became a student worker; she was never too busy to help me. She was a role model of how librarians should work with researchers and mentor historians and future librarians. In 1982, she retired from WKU Libraries. 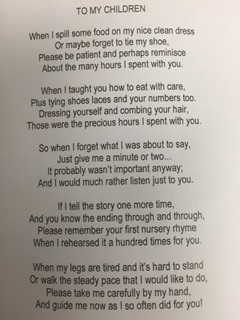 Always a life lesson teacher, Mrs. Farley gave her sons the following poem as she approached her senior years. 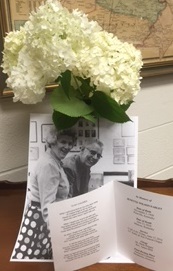 We will miss you, Mrs. Farley, you serve the Kentucky Building well. Summertime and the Researchers are Exhilarating! Summertime for many people marks a time of relaxation, peace and quiet, but not if you are at the Research Assistance Desk for Library Special Collections. In the last five days, I have explored the wealth of information WKU Libraries has collected in the last 90 years with researchers from Alabama, Florida, Mississippi, North Carolina, and Logan County, Simpson and Warren Counties in Kentucky. “Boy, do you know how to ruin a person’s day ! ! ! I’ll be on this site until my eyes give out! Thank you SO VERY MUCH. . . Back to the computer screen ! ! ! Forget the dust and the weeds in the garden ! ! 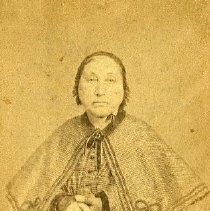 !” When describing her discovery at our page http://www.wku.edu/library/dlsc/discovery.php , the researcher said she spent the rest of the day looking at various items. Later she sent me an electronic copy of her newsletter using the photograph of Phoebe Ann Pittman Flowers. Its citation points more Logan County researchers to kencat.wku.edu. The second Monday researcher got so excited at finding her information that she hugged me (a first in my 31 years as an archivist and librarian). Wednesday by phone I taught online research via KenCat to a Floridian seeking to complete her Daughters of the American Revolution application with a family Bible’s genealogical pages that our family surname files. Our second phone call of the day was from a researcher who spent his Bowling Green research day repairing his car’s alternator rather than searching for an obituary of a Bowling Green woman who was run over by a train on a Bell County, Kentucky, railroad bridge in 1919. His expertise in genealogy had made him hope he could solve a question nagging his neighbor about the death. The Louisiville Courier-Journal lacked the detail he hoped to find in a local newspaper. Unfortunately few Warren County newspapers before 1922 were saved; thus far, our holdings search has been in vain. Perhaps someone will bring us an original from their attic soon. Among our favorite researchers are those who arrive, having found KenCat.wku.edu and TopScholar.wku.edu , to view primary sources. At 8:55 a.m., a North Carolina couple literally could not wait any longer for our doors to open. 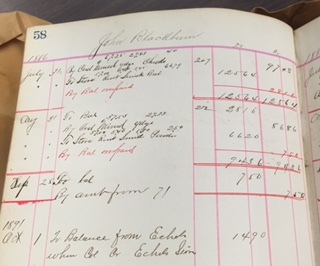 They knew they wanted the Enochs Mine store ledger from MSS 29. In it they found proof that their ancestor worked and lived in Ohio County, Kentucky from July 1886 to 1891. We invite you to explore our online catalog for non-book materials. KenCat has a new homepage, navigation, and search system. You do not have to be interested in genealogy or history to find the “random image” or original item that delights you. Comments Off on Summertime and the Researchers are Exhilarating! The Department of Special Collections recently added a first edition of a book composed of a beautifully illustrated poem by Madison Julius Cawein. 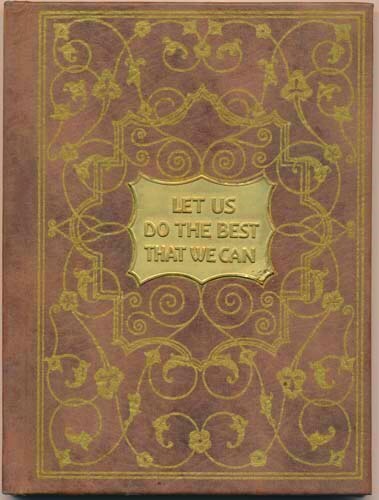 Let us do the best that we can, I say! See this book and other poetry written by Cawein at the Special Collections library. Search the collection by using KenCat, TopSCHOLAR and the One Search online catalog. WKU’s Department of Library Special Collections (DLSC) recently added a discovery sharing page to its website that allows patrons to share items that they found in Special Collections and how the material aided their research. Our first respondent was Michelle Dilliha, a local CPA and owner of Front Porch Rentals. Dilliha has been responsible for adapting historic properties into multi-family living arrangements. Most of these properties have been in the College Heights Historic District. Before purchasing another property in which her company was interested, Dilliha came to Special Collections to see if the house’s original drawings existed. 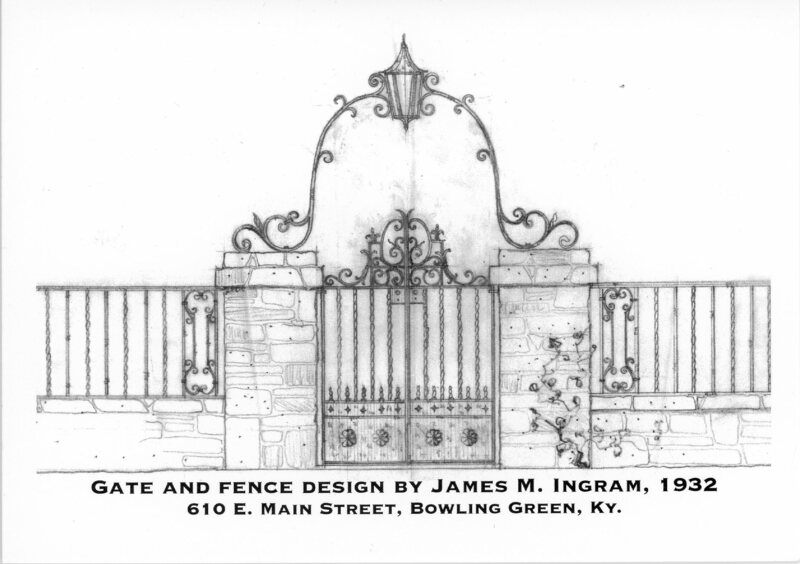 DLSC owns over 1500 sets of architectural drawings, chiefly from Bowling Green. Although a number of architects are represented, the majority of them come from James Maurice Ingram (1905-1976), Frank D. Cain (1922-1994), Joseph P. Wilk (1926-1994), and Bill Finley (b. 1939). 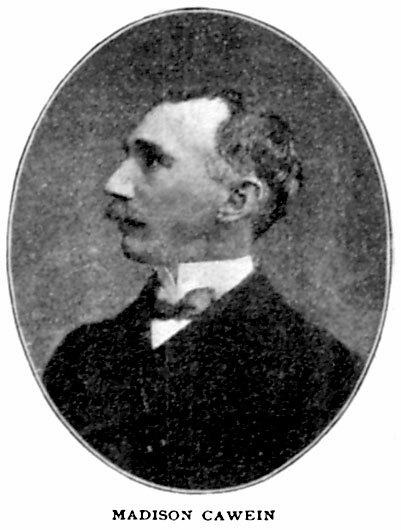 By providing some details about the property including the address of an early resident–which Michelle gleaned from city directories–the DLSC staff was able to locate the drawings by James Maurice Ingram. The original drawings provided information about the structure that was helpful in evaluating how the house had evolved over the years and the best way to handle several unusual details during renovation. Dilliha was happy to find the drawings and was equally impressed with DLSC’s staff who were “extremely helpful” and “went above and beyond” expectations. A basic database for searching the architectural drawings is available in-house; approximately 25% of the drawings have been cataloged in DLSC’s catalog KenCat. Comments Off on Your Discovery! 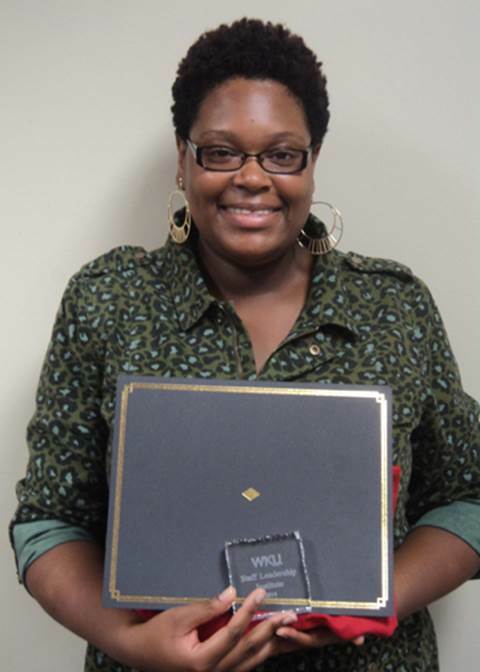 Maria Lewis, Library Assistant in the Department of Library Special Collections (DLSC), recently completed the 2013-2014 year-long training through the Staff Leadership Institute. This program is for WKU staff members who have demonstrated advancement potential in their work. Over the past months, Maria attended classes and workshops that taught and tested, improved leadership competencies, the ability to apply basic leadership principles and to employ knowledge of WKU resources campus wide. The program is sponsored by the Staff Council and Human Resources. Selection for participation in the program is competitive and requires recommendation and approval by supervisors and departments. The program notes that it “seeks to enhance job performance and personal development skills while challenging the spirit of each individual who participates.” Maria enjoyed the diversity of people and tasks in the program and learning more about the life of campus and how things work together. The Library Special Collections department is pleased that Maria was chosen to participate and was among the 2014 recent graduates. Congratulations to Maria!